The delay has led to much speculation, from belief that KCR is setting the ground for his son to take over to claims that he is waiting for ‘auspicious date’. Bengaluru: Telangana Chief Minister K. Chandrasekhar Rao, popularly known as KCR, was in a tearing hurry to head to elections, dissolving the state assembly in September 2018, months before its tenure was to end. But the chief minister appears to be in no hurry to form a cabinet. 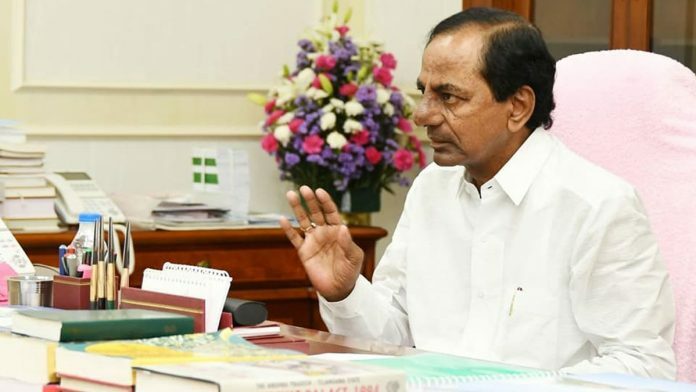 In the 47 days since KCR took oath on 13 December 2018, the Telangana government has been run by a two-member cabinet of the chief minister and Home Minister Mahmood Ali. KCR will have to appoint 16 more ministers to complete his cabinet. The delay has led to much speculation, from the belief that KCR may be setting the ground for his son K.T. Rama Rao — the working president of the Telangana Rashtra Samiti (TRS) — to take over as chief minister to charges that the ‘extremely superstitious’ chief minister may be waiting for an ‘auspicious date’. The absence of ministers was conspicuous even to the world as at the World Economic Forum in Davos, the Telangana kiosk had absolutely no political representation. So what has been causing the delay? Three theories are doing the rounds in the state. Much of the speculation is that KCR will elevate his son K.T. Rama Rao as the chief minister. Sources in the TRS said that before relinquishing his post, KCR wants to appoint loyal lieutenants who will support his son and continue governance without toppling the government. KCR is putting his house in order before making that major announcement, said a TRS leader under the condition of anonymity. There is also the belief that KCR, known to be an extremely religious and superstitious man, is looking for the right muhurat (timing) to expand his cabinet. KCR has been conducting a series of pujas and held a major yajna, called the Sahasra Chandi Yaaga, which was held between 21 January and 25 January. “These pujas are for the welfare of the people of Telangana and ensure that the state prospers,” a TRS leader told ThePrint. The leader also pointed out that the two phases of the panchayat elections were held on 21 and 25 January, with the third phase to be held on 29 January, and the CM has been busy with them, further delaying the cabinet expansion process. Sources in the TRS say that 30 January and 6 February are the probable dates for the expansion. It is believed that KCR wants to have a cabinet in place before the Telangana budget session, which is likely to be held in February. While KCR has defended his beliefs saying it does not come in the way of governance, this time the delay may not stand the test of this argument. Earlier too there have been allegations that KCR did not function from the state secretariat due to his superstitions. Another possible reason for the delay is the work that is being done to consolidate certain departments under one umbrella. For example, as KCR explained in one of his media briefings, that the departments of agriculture, agricultural marketing and agricultural cooperation, which work for the welfare of farmers, operate separately and should be brought under one roof. The chief minister has also asked the state bureaucracy to help in the consolidation and work out the modalities as part of governance reforms. The delay has given the opposition new ammunition to target the KCR government. Telangana Congress spokesperson M. Krishank told ThePrint that many suspect that there is a feud within the family for ministerial berths. “There is news that within KCR’s family there is a lot of misunderstanding and KCR may be expecting a coup as TRS MLA Harish Rao’s (who is also the nephew of KCR) position may be in big question,” Krishank said. Hyderabad-based political analyst Palwai Raghavendra Reddy feels that the new cabinet in Telangana will have KTR at the helm. KCR is likely to build a young cabinet that KTR would be comfortable working with, Reddy said. “The delay in cabinet formation is because KCR sees the recent electoral victory as a mandate in favour of his style of administration and so he will take decisions according to his comfort,” said Reddy. We have our elected leaders making a mockery of democratic ethos and the processes. KCR is one of them. We have had PM who touched the ground before entering the Parliament and has used every trick in the political books to subvert the Parliamentary scrutiny. They tell us that they are the most honest people in the world and spend thousands of crores on elections – collected from known/unknown sources. They use public (our) money to promote themselves. Look at the size of the photographs that they put for themselves on government ads or material. I see no reason why a politician should be allowed to put his or her mug on government material (informational or promotional). We are neither a feudal society nor a one-man government. I don’t know why no one (including are honourable otherwise active Courts) don’t put a blanket ban on individuals promoting themselves at the cost of public. We should have nothing more than the Government logos on all the government material. No pictures of any of these politicians or politicians gone by. Man who was in such a hurry to dissolve does not think that he should have a cabinet. Either he thinks he knows everything or our his legislative members are not good enough to be the ministers!!! God save us from the self-serving, self-proclaimed, pretentious leaders who don’t really care for us. You hit the nail. This man has become arrogant and taking voters for a raide. If two people can run, why need secretariat etc. PM Modi is also in the same league but in a different manner. Indeed true. KCR thinks that he has a right to be arrogant because he has one the elections and he will win all the future elections and remain CM forever. They are acquiring land for a helipad in one of the districts and the matter has reached the Court. The district office is supposed to have 20 acres land and we are told that the security does not want the helipad in the district office. He has spent crores of public money on building a house for himself. Modi has spent close to a billion dollars on self-promotion (in name of connecting with people and other countries) and pretending to sell gifts he has received for financing Ganga cleaning projects. AIIMs does not have enough incubators for saving newly born, but the man spends thousands of crores on himself – that is just our money. Cronies are desperate to finance his elections so that they can loot at will. We have people who have done no serious manufacturing (owe thousands of crores to public sector banks), will produce advanced defence equipment. It is really a cruel joke in the name of honesty, good governance, sabka saath and what not. If you ask a question – we hear that Congress did it for 70 years and if not that we are all anti-nationals, good for nothing people. I guess we are having to pay a price when semi-literate people pretend to know everything that is to be known.